Senator Chuck Schumer poses with UAlbany students inside University Hall, November 2, 2015. UAlbany students freshman Alondra Sanchez and junior Benny Poy with UAlbany President Robert Jones with Senator Chuck Schumer at the podium. Senator Chuck Schumer speaks with a UAlbany student in University Hall, November 2015. U.S. Senator Charles Schumer has gone to bat for college students: he's calling on his Senate colleagues to immediately reauthorize and extend a 60-year old financial aid program that he says has enabled millions of students to attend college. The Perkins Student Loan Program expired September 30th. Students in New York and all across the U.S. depend on the program to attend college. Schumer says the program, which pumps approximately $123 million in financial aid into colleges across New York, "doesn't cost the federal government a nickel." Schumer made his appeal in UAlbany’s University Hall building. "Because the Perkins Loan program's a revolving fund. As those people who are at a college pay it back, it goes into this fund to help new people." According to Schumer's office, the federal government has not appropriated funds for the Perkins Loan Program since 2005, making it a low-cost federal program with immense benefits to students. The Perkins Loan Program provides low-interest loans to students who cannot borrow or afford more expensive private student loans. Specifically, the program aids over half a million students nationwide with financial need by providing fixed interest rates and loan forgiveness options. Schumer said this program provides $120 million in aid to New York colleges, including students who attend Capital Region schools like the University at Albany, Rensselaer Polytechnic Institute, Siena College, Albany Medical College and others. The House of Representatives passed an extension unanimously; now, Schumer is demanding Senate Republicans take up and immediately pass legislation to extend the program, before second semester tuition payments come due. UAlbany freshman Alondra Sanchez: "Having this loan taken away from us — it's something that I can't even fathom." Vermont Senators Patrick Leahy and Bernie Sanders and Massachusetts Senators Elizabeth Warren and Edward Markey have also joined the call to save the Perkins Student Loan Program. Leaders from several area colleges as well as students who benefit from the loans were in the audience; some joined Schumer at the podium, including Siena President Brother Ed Coughlin, who notes Perkins Loans are often parts of aid packages that put Siena in reach for many students. Alicia Ouelette, President and Dean of Albany Law School, says the loans are a critical part of her students’ financial assistance packages. "That makes the difference for some students about whether they can attend law school or not." 120 current Albany Law students have received more than $950,000 in Perkins loans. Beny Poy is a Junior at UAlbany. He tells Time Warner Cable News: "I wouldn't even be close to even possibly be able to pay for my education if it weren't for this money. My family cannot afford $1,100. That's how -- the education opportunity program students are all basically the same way." UAlbany President Robert Jones added that for decades, Perkins loans have helped thousands of high-need SUNY students achieve their educational goals, and to derail the program would be nothing short of disaster. If the program is not renewed colleges may end up owing the government money. The State University of New York at Albany relies on a disbursement of $2,601,714 to provide 1,719 recipients with the aid needed to attend college. Rensselaer Polytechnic Institute relies on a disbursement of $5,227,970 to provide 2,121 recipients with the aid needed to attend college. Albany Medical College relies on a disbursement of $2,858,216 to provide 379 recipients with the aid needed to attend college. Siena College relies on a disbursement of $358,000 to provide 368 recipients with the aid needed to attend college. SUNY College of Agriculture & Technology at Cobleskill relies on a disbursement of $351,871 to provide 300 recipients with the aid needed to attend college. Union College relies on a disbursement of $441,976 to provide 144 recipients with the aid needed to attend college. Albany College of Pharmacy and Health Sciences relies on a disbursement of $431,836 to provide135 recipients with the aid needed to attend college. Albany Law School of Union University relies on a disbursement of $912,110 to provide 121 recipients with the aid needed to attend college. College of Saint Rose relies on a disbursement of $275,764 to provide 112 recipients with the aid needed to attend college. Skidmore College relies on a disbursement of $266,560 to provide 110 recipients with the aid needed to attend college. Sage Colleges relies on a disbursement of $136,975 to provide 74 recipients with the aid needed to attend college. 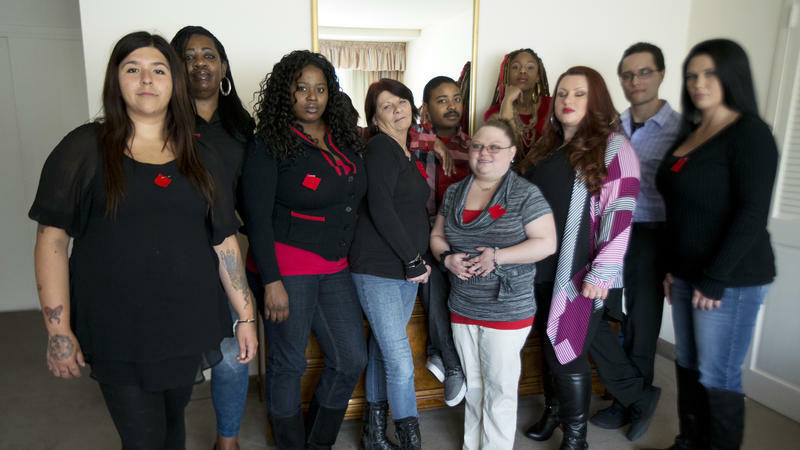 Latonya Suggs says she borrowed thousands of dollars in student loans to attend the for-profit Corinthian Colleges but has nothing to show for it. Most employers don't recognize her criminal justice degree. "I am completely lost and in debt," Suggs says. And now she's doing something about it: She's refusing to pay back those loans. 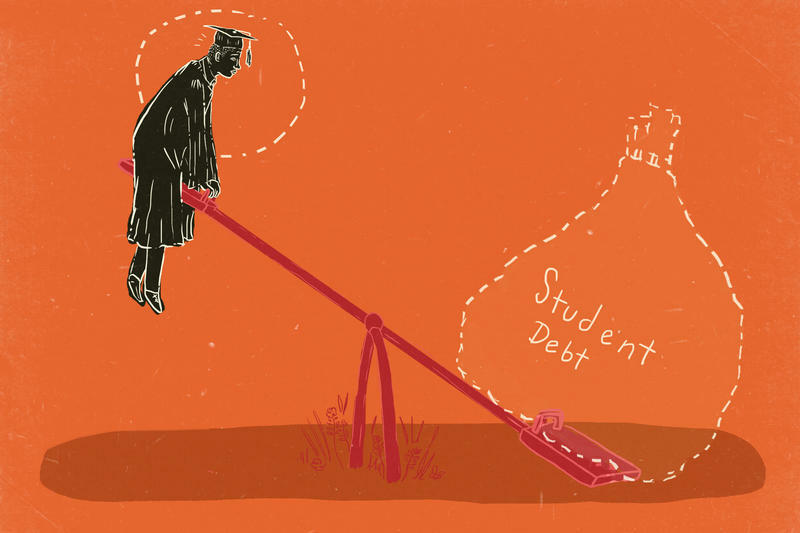 Back in December, we brought you a series on student loan debt. One of the stories focused on young farmers, who face unique challenges. Now, a follow-up: one of the young farmers in our original story is starting her season with a lot more green than she had hoped. This was Leanna Mulvihill in December. And this is Mulvihill today. "The value of my education is priceless, but the value of my education is also not $140,000 in debt." That was the statement of a Hunter College graduate with a master's degree, as quoted in the documentary Ivory Tower. And a new national poll suggests that thousands of graduates, especially younger graduates, agree with her. U.S. Senator Chuck Schumer of New York has renewed his push to get "Andrew's Law" passed.